Many people are looking for the answers to what is wrong with the world today. The answer could be quite simple. It is all about the worldview. It is how we see the world around us and what we, as humanity, make our top priority. Unless our current worldview is synchronized with the natural order and the laws that govern the Universe, it is impossible to find harmony in life. When the worldview is distorted, the Universe will try to do its best to guide us back to the path of spiritual evolution. The key is to start within and synchronize your own worldview with the harmony of the Universe. Otherwise, you might be forced to evolve through, what may seem as quite harsh ways, problems with health, money, personal and professional life. In order to find the solution to challenges on the material level, you need to look beyond, and into the levels of higher consciousness. 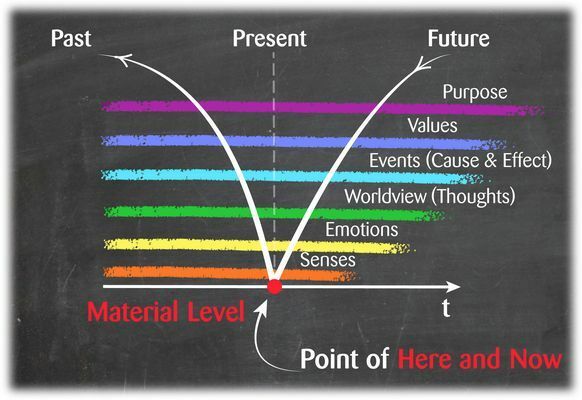 According to the energy-informational map used in the new spiritual science Infosomatics, there are seven planes or levels of consciousness: Material (Matter), Ether (Senses), Astral (Emotions), Mental (Worldview), Causal (Events), Bodhi (Values) and Atman (Purpose). There are many other models describing levels of consciousness out there, the key is to find the one that resonates with you the most. Material level is governed by matter. It is where your physical body exists and functions. Ether plane is the vast world that you perceive through your senses. The main energy of the astral plane is your emotions. Mental plane is defined by your logical thought process, personal will, and the worldview. The causal or Karmic level of consciousness holds the information regarding all the events in your current as well as previous lives. The true values of life characterize Bodhi level of consciousness. Atman is the highest point of consciousness and it is something that is nearly impossible to describe in words. It is where it all started and will all end, it the ultimate purpose of one higher consciousness. Mental level of consciousness: Top priority is given to the logical way of thinking and to the worldview that does not take into account the whole picture of the Universe and its laws. Most people believe that human species are the top of the evolutionary process and that will and human ability to think logically is primal. Causal level of consciousness: Many people believe that they have the full control of what happens in their lives. They concentrate on their own ego and often do not take into account what is happening around them. People want to exercise control often without even considering cooperation, which is a much more effective way to keep the balance and harmony created by the Universe. Bodhi level of consciousness: People think that they know the true values and what will make them happy in life. In most cases, people give an absolute priority to wealth, power, social success, freedom to do anything they please and unquestionable respect for authority. Material level of consciousness: It is generally accepted that matter is the foundation of everything. People judge the quality of their experiences mainly through the physical plane and if something does not have a material representation, it does not exist for them. Ether level of consciousness: It is assumed that what one can feel through senses is the result of physical actions or manipulation of certain material objects. Astral level of consciousness: From the early childhood most people are taught to control their emotions and not express freely what they feel at a given moment. It is a common practice to keep your own true emotions to yourself without sharing them with others. 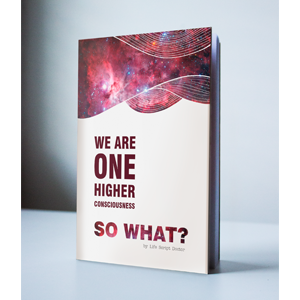 The priority in the hierarchy of the higher levels of consciousness described above is what makes generally accepted worldview go against the laws of the Universe, which inevitably leads to conflict with natural harmony of life. There is also a missing link in the modern worldview. It is the search for the purpose of life itself which is represented by the Atman level of higher consciousness. How many people do you know that really give attention to their unique mission, purpose, and realization of their full potential in life? (see “How Knowing Your Cosmic Address Can Help to Realize Your Potential“). Most people are eager to substitute their own true ideals for the ones of someone else or those that social matrix offers them. The real change in the world you live in can start only with the shift in the worldview and awakening of your consciousness. You should strive for a higher purpose by giving the top priority to realizing your unique mission in life through your own creative essence. You should give true value to the belief systems that guide you closer to finding your own purpose. Your karma or cause and effect process should be guided by your true values. Your willful mental thought process should be concentrated on the events that happen in your life and on those processes that you have the ability and passion to change for the better. You should refine your emotions to truly allow yourself experience the vibrations of the world around you. Perception of the world and your state of vitality depends on how accurately you can interpret the information you receive from your senses. The material level of consciousness gives you the experience and understanding of your existence, so you can realize your purpose. When the critical mass of people will be able to synchronize their energies with the levels of higher consciousness, the world will wake up to the new paradigm. Below is a video that offers more explanation to the levels of higher consciousness. For more advanced practical knowledge or personal guidance see shop/services section of the website and feel free to contact Life Script Doctor with any related questions. I’m a number 9 and understand all this already without any exposure to it before. It’s bang on!